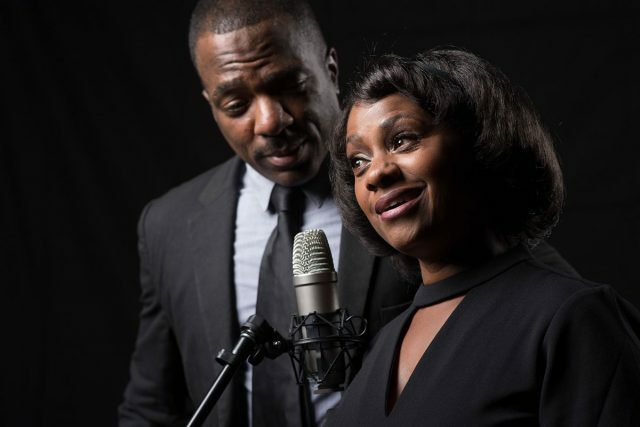 Pictured: Gilbert Glenn Brown and Karen Malina White from the radio drama, The Mountaintop. Photo by Matt Petit. This year, we mark the 50th anniversary of the death of Dr. Martin Luther King Jr.
King was assassinated on April 4, 1968, outside of his hotel room in Memphis, Tennessee, only a few hours after his historic “I’ve Been to the Mountaintop” speech. The radio drama, The Mountaintop, imagines what may have occurred in King’s hotel room just before his tragic death. We spoke with The Mountaintop’s Producing Director Susan Loewenberg to get her insight on this important work. Q: What do you hope the audience takes away from this performance of The Mountaintop? A: My hope is that our audiences come away from seeing The Mountaintop with a deeper understanding of the complex and beautiful soul of one of our greatest leaders who was taken from us at the age of 39. Who knows how he would have evolved? We can only speculate. But his message, his doubts, his frailties, his convictions, his commitment to a crucial cause deserve our undying admiration, respect and understanding. Q: Why do you feel it’s important to highlight Dr. Martin Luther King, Jr. with this behind-the-scenes approach? A: Good plays engage audiences both emotionally and intellectually. In order to accomplish emotional engagement, we need to be able see behind the façade. An audience wants more from a character than his/her public persona. When both the emotions and the intellect are engaged simultaneously you have “combustion,” and that is the mark of a good play. Q: What’s unique about the “live-in-performance” radio drama experience? Why do you think radio is still an important medium today? A: Live-in performance radio drama is our signature form for presenting our work. Interestingly, without elaborate sets and movement, you, the audience, are able to have a more intense experience focusing on terrific performances and indelible words. For the actors, it is a challenging feat to be able to communicate using only your voice. It requires intense concentration and an awareness that everything must be communicated vocally. I often say to actors, “It’s great to smile, but unless the smile is in your voice, no one listening will ever know that you are smiling.” Regarding the importance of radio today- yes, it is still important. But radio, like every media outlet, must adapt to the reality of digital technology. So radio now includes streaming and podcasting, all in the service of enabling the listener to avail themselves of the medium anywhere, anytime. The Davidson College Artist Series brings The Mountaintop to Charlotte-area audiences Friday, February 23, 2018. For more information about this performance, click here. Cultural stereotypes surrounding disabled figures run rampant through media and society, and opera is no exception. The ‘cure or kill’ paradigm is an unfortunate example of humanity’s inherent discomfort with difference. The term ‘cure or kill’ was coined by Rosemarie Garland Thomson to describe the two most common paths presented to disabled characters in literature, art, music and media. Disabled characters are either cured of their disability, thereby allowing them to enter the normate (able bodied) group, or are killed, thereby curing society of disability and easing the tension in normates’ lives presented by disability. Specifically, madness is a trope often used in opera to signify a break in a character’s story that is either corrected or leads to the character’s downfall. In Alban Berg’s Wozzeck (1925), the title character is driven mad and commits suicide as a result. Giovanni Paisiello’s Nina (1789) features a woman who loses her senses at the supposed death of her lover, but regains her faculties immediately following his safe return. In Handel’s Orlando (1733), the title character is driven mad with jealousy when his love marries another and this madness is the cause of most of the drama in the opera. Only after his mind is magically restored does the opera end in happiness for all characters. These characters are not presented as capable of living with their mental illnesses and must be cured and brought back into the world of normalcy, or their disease must be eradicated and they with it. These stigmatized portrayals of disabled characters infiltrate not only the way we as individuals view the very real, three dimensional disabled persons we interact with, but the way that we as a collective society believe they should be handled. The ‘cure or kill’ paradigm in opera displays the roots of many stereotypes that continue to be prevalent today. The rock musical Next to Normal (2008) takes a close look at the effects of Diana’s struggle with manic depression on her family. Most of the show is spent presenting the interruptions to the lives of Diana’s normate family while trying to find a cure for her, and though Diana is neither cured nor killed, she leaves in the end for the good of her family. In the clip below, Diana attempts to explain her feelings to her distressed husband while hallucinating the intervention of her dead son. This recent work illustrates the way music has evolved, but media interpretations of disabled lives have not. Even the title demonstrates intense discomfort at the presence of difference in the lives of the characters and a desire achieve a state of normalcy, and the final moments of the show place much higher value on repairing the lives of normates than its disabled protagonist. Stereotypes such as this encourage a societal hierarchy in which persons with disabilities are relegated to lower rungs and must therefore work that much harder to be viewed as equal citizens of a normate world. Despite the common belief that experiencing music is a privilege only for people with fully functioning hearing faculties, we use more than just our ears in the musical experience. We dance; we feel the beat within us. In my voice lessons at Davidson, I am told repeatedly to let my body convey the meaning and stop worrying about the sound I produce! Furthermore, we have examples of deaf and hard of hearing (DHOH) musicians throughout history and the present. 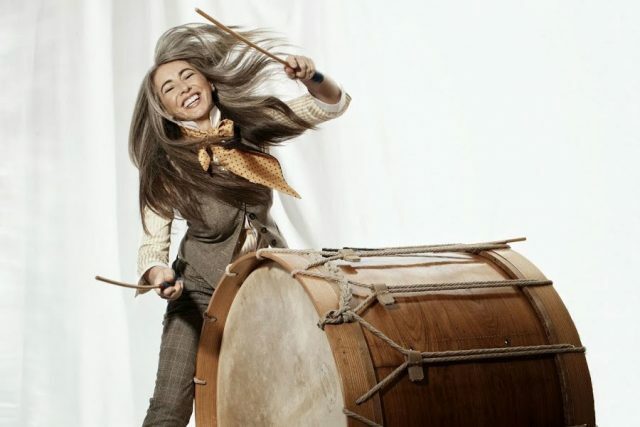 Beethoven composed with a hearing impairment that worsened through his life, and Evelyn Glennie is a well-known and highly successful contemporary Deaf percussionist. These examples demonstrate that the DHOH community does not have to be excluded from experiencing music or being musical. So how, then, do DHOH people experience music and become musicians? It turns out that in order to become a musician, whether someone is DHOH or not, practice is key. Music educator Robert Fulford, in “The Formation and Development of Musical Identities with a Hearing Impairment,” shows that as opposed to learning by sound, DHOH pupils may learn note names through visual puzzles or pictures, pitches by feeling the speeds of vibrations, or musical technique through metaphors such as tone color. Pulling evidence from his interviews with DHOH musicians, Fulford comments on the power of visual cues and gestures to learn, for instance, how long to hold a particular note on a violin or find the beat from a conductor. While the DHOH community continues to find ways to participate in music, their inclusion demands that we revisit the definition of music. Does music require sound? Apparently so, at least according to the Oxford English Dictionary, which includes “sound” as a central part of its definition of “music,” but a Deaf musician like Evelyn Glennie complicates the dictionary definition. Perhaps a more inclusive definition should focus on physical vibrations, emotions, and the abstract form of music instead of the sound produced. Austin Bowley is a senior at Davidson College. Claude Debussy wanted to be a sailor. 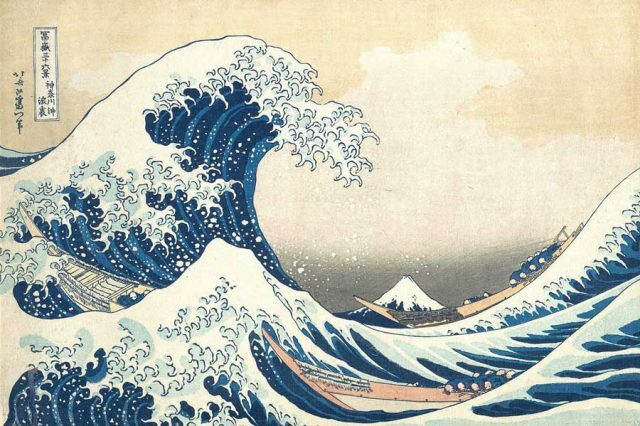 He was only a few years from his compositional triumphs when he wrote, “I have been smitten not with sea-sickness, but with sea-seeing-sickness.” I see connections between the symptoms of depression as an expression of this disability in the complex composition that is Debussy’s La Mer. The third sketch of La Mer is entitled Dialogue of the Wind and the Sea, and it is rife with upheaval. Dialogue is more ominous and aggressive in comparison to the first two sketches. From the relentless timpani to the sharply articulated bursts of rhythmic density, this sketch conveys fitful unrest. The “call of the deep” theme from Dialogue evokes in its cyclic, rumbling quality the depressive symptoms enumerated by The National Institute of Mental Health: persistent sad or empty mood, feelings of hopelessness, irritability, and feelings of worthlessness. La Mer became one of the few Debussy compositions to deal so personally in despair, expressed in the undertow of the sea. The agitation in the strings especially speaks to irritability. Cycling themes reinforce feeling lost or hopeless. Dialogue of the Wind and the Sea contains immense, conflicting forces within itself. Depression, in parallel, dwells as conflict contained within people. By applying the disability studies framework to La Mer, I seek not to deal in certainty or posthumously diagnose the man behind the work; furthermore, the medical model of depression is only one lens through which to view human disability. The sea unleashed in La Mer reveals more than nature. Art, and Debussy’s La Mer in this case, complements and expands our medical understanding of depression through sound, sensation, and metaphor. Hannah Thigpen is a senior at Davidson College. 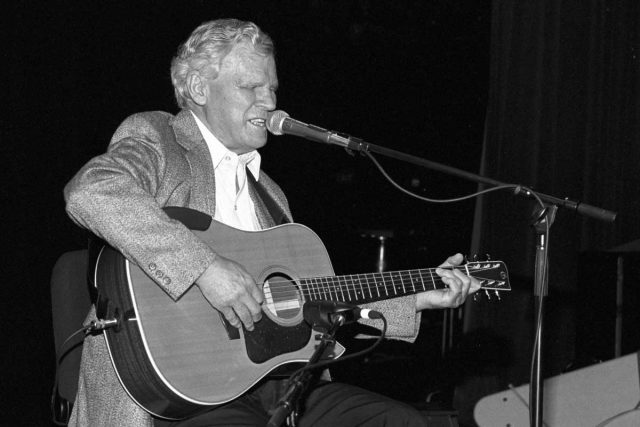 Arthel “Doc” Watson (1923-2012) was a blind guitar player best known for his pioneering role in the flat-picking tradition. 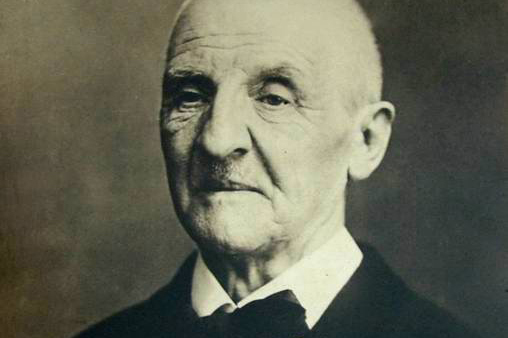 Watson lost his sight as a child due to infection and thus had to learn by ear. Despite this disability, he began learning banjo and harmonica at a young age according to UNC professor Phillip Gerard. 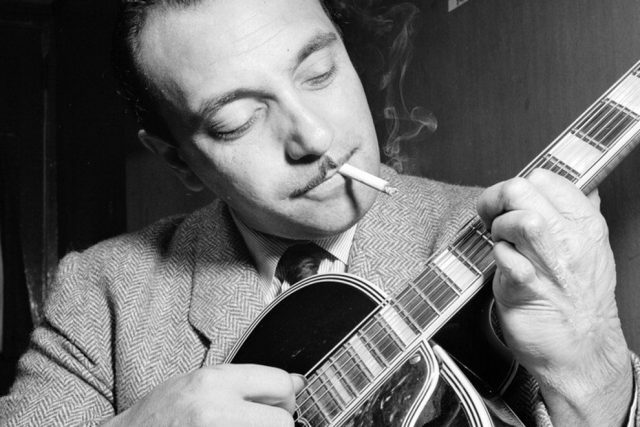 His willingness to expand from the Appalachian ballad tradition he grew up in to the finger-picking Blues genre was remarkable. In numerous other online videos, Watson credits Hurt’s version with the tune. The version Watson plays here is much different than his usual, fast-paced and melodically driven style. Like Hurt, he puts emphasis on maintaining the alternating bass-thumb rhythm as opposed to the melody. Though we can clearly see Hurt’s finger-picking pattern in the first video, Watson could not and so he had to learn this tune by ear alone (Watson did not read Braille). Dylan Morris is a senior at Davidson College.